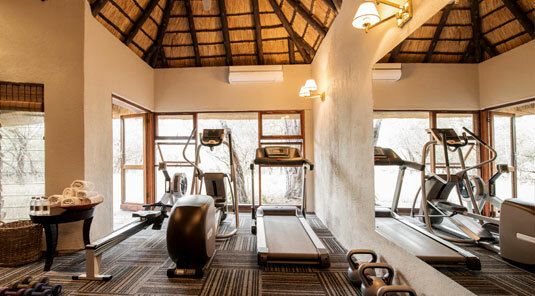 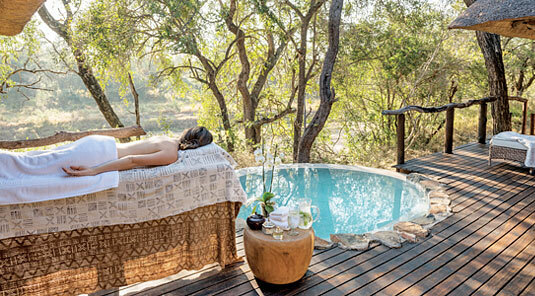 Dulini Lodge is situated in the western sector of the 65 000 hectare (160 600 acre) Sabi Sand Game Reserve, adjoining the Kruger National Park, Mpumalanga Province, South Africa. 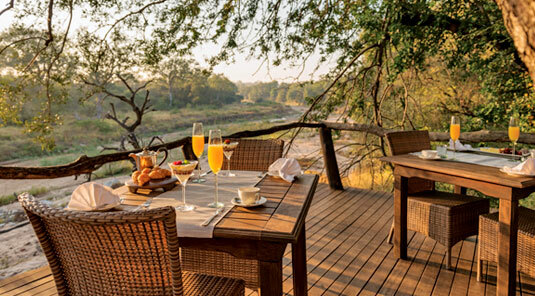 Dulini Lodge has been built on the banks of the seasonal Mabrak River,with a swing bridge across this river to Lodge facilities on the opposite bank. 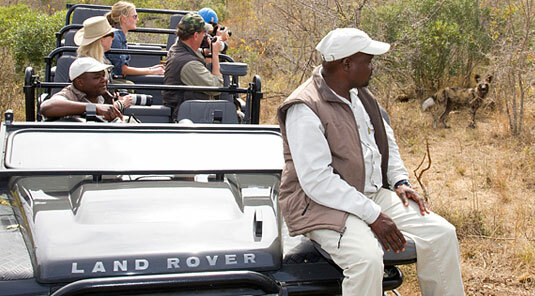 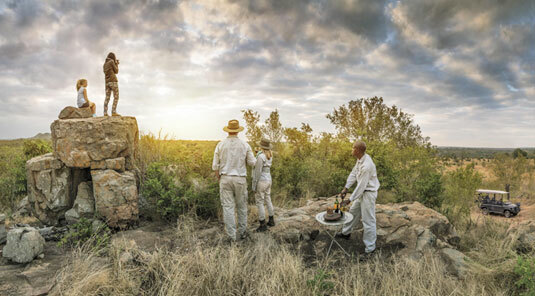 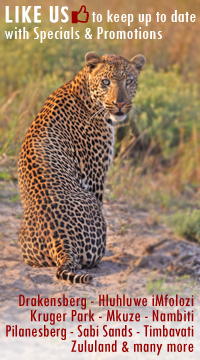 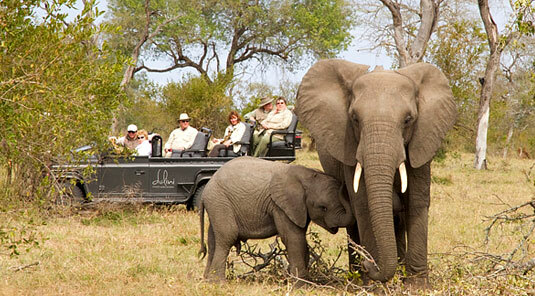 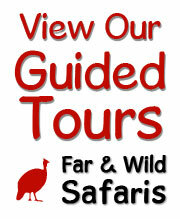 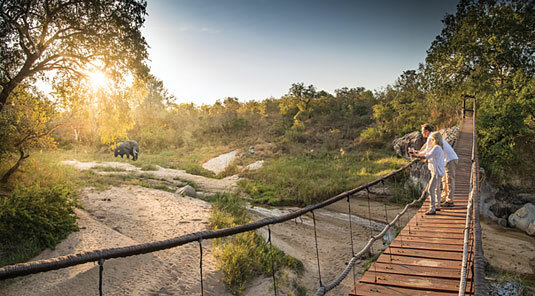 Dulini Lodge has a traversing area of 10 000 hectares (25 000 acres) within the Sabi Sand Game Reserve. 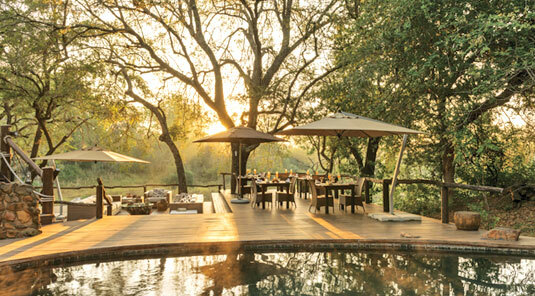 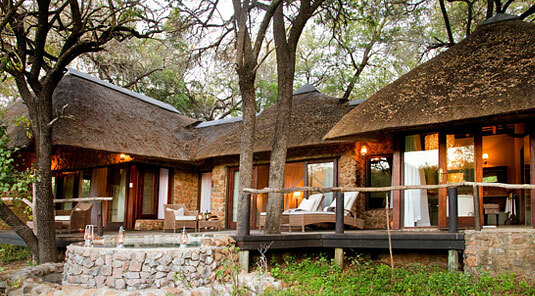 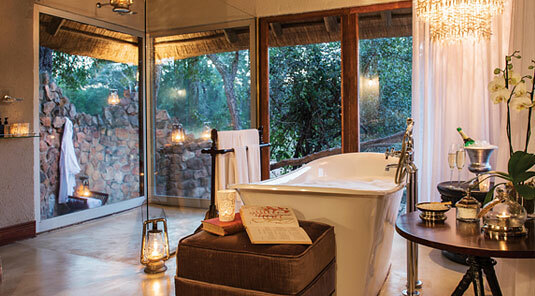 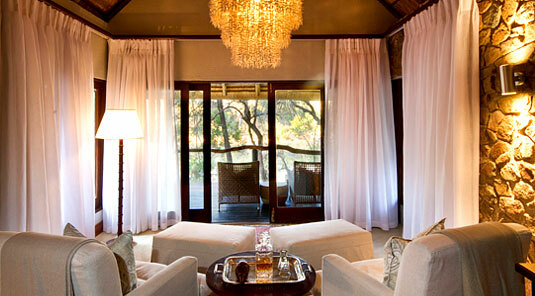 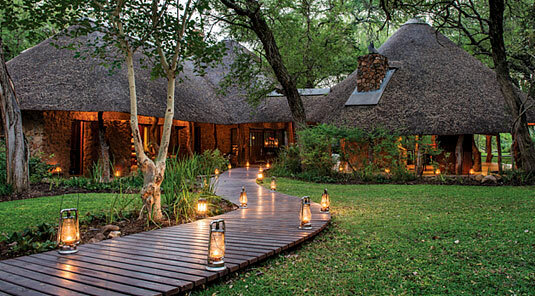 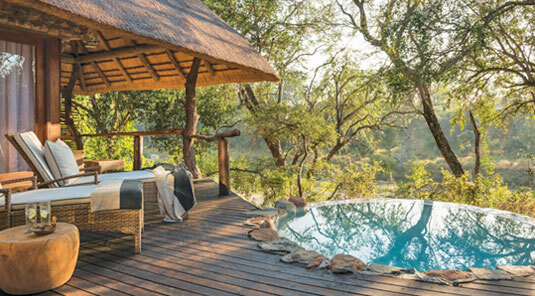 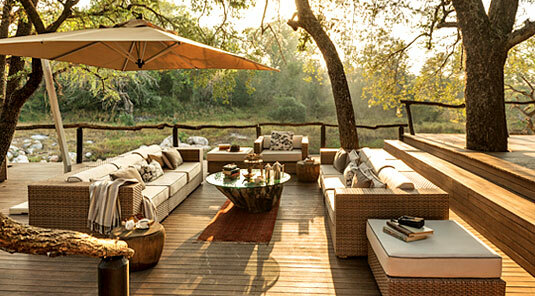 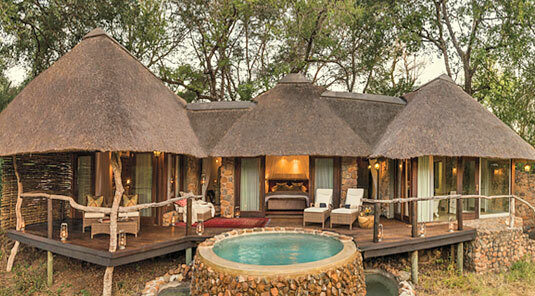 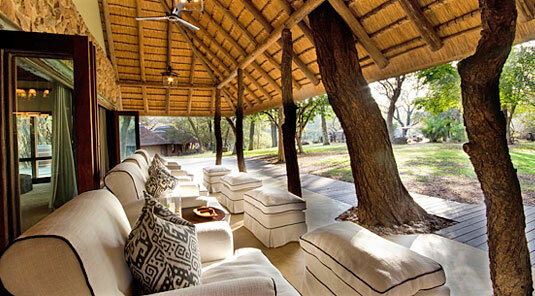 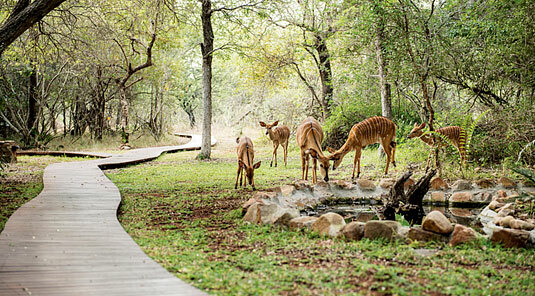 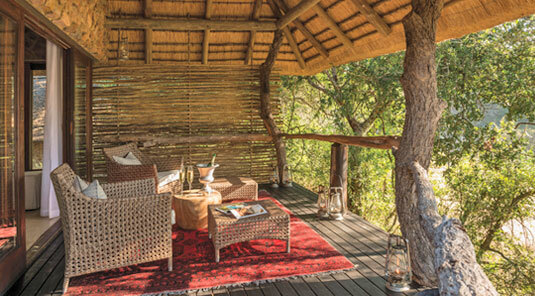 Dulini Safari Lodge sits in the western part of the Sabi Sand Game Reserve, under a leafy canopy of ebony trees. 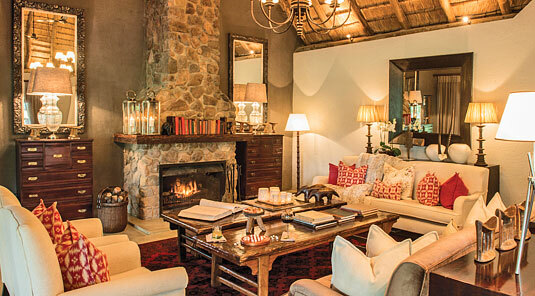 It consists of six spacious stone cottages on the banks of the Mabrak River. 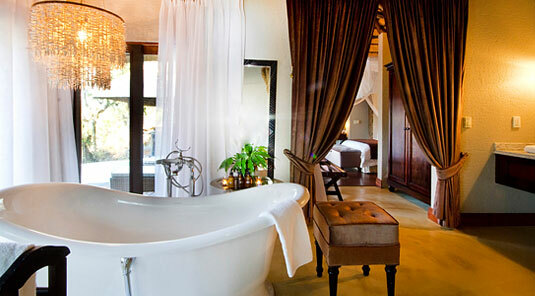 The air conditioned suites boast generous plunge pools, shady decks, and ensuite bathrooms with twin hand basins, separate w.c.’s and indoor and outdoor showers. 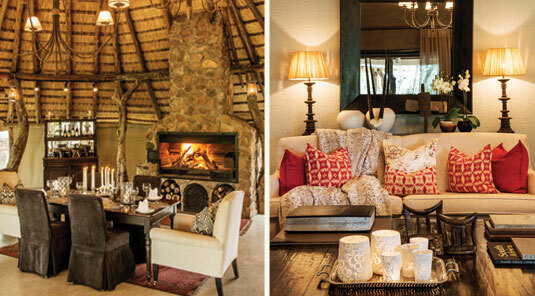 The guest sitting area at Dulini Safari Lodge is an elegant space filled with big welcoming sofas and interesting African sculptures. 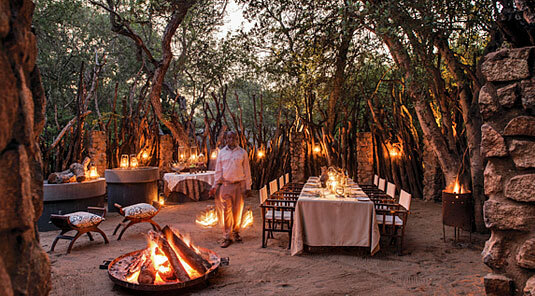 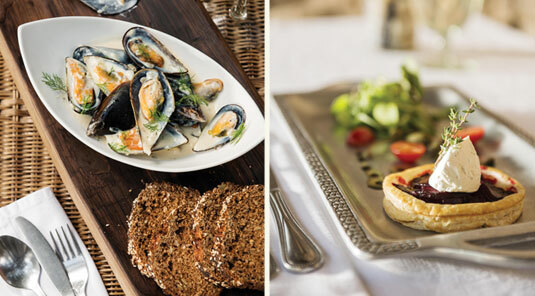 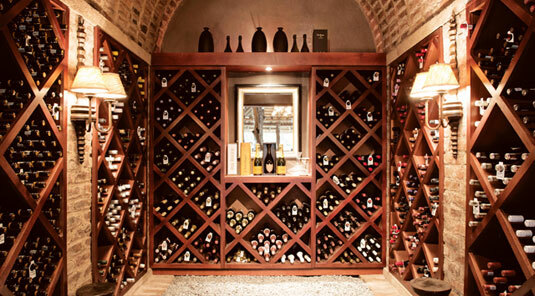 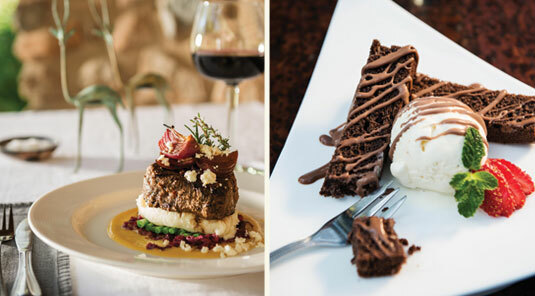 Guests dine under an ancient jackalberry tree where skilled chefs serve delicious Pan African meals, or steal away for a romantic candlelit dinner in the well-stocked wine cellar and Safari Shop. 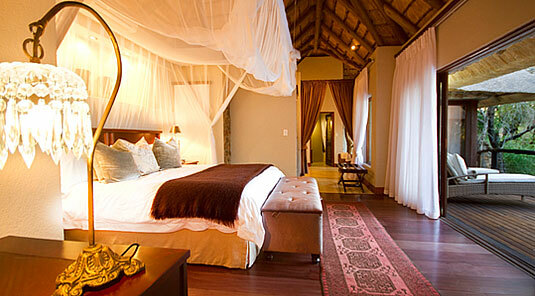 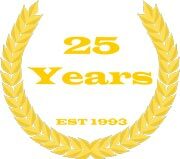 Dulini Lodge is situated in a malaria area and necessary precautions should be taken.